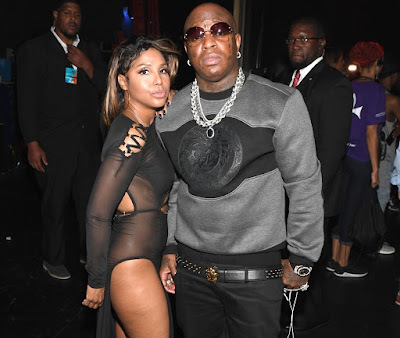 R&B singer, Toni Braxton, 50, and her fiancé Birdman, 49, have sparked speculation they have called off their engagement for good. Toni shared a cryptic message and deleted all her pictures on Instagram. Her rap mogul fiance Birdman also did the same too. We reported last year,2018, that they got engaged and were supposed to get married in late 2018, but due to not having a proper to conduct the wedding,it couldn't push through. Meanwhile,the both started dating in May 2016 and also in '2016 BET Awards' they made their first public appearance as a couple. In February 2018, Braxton confirmed their engagement on the season premiere of their show, Braxton Family Values.